Barry M Sugar Plum* (Gelly) Review, Swatches and Nail Art! So if you follow me over on instagram, you'd know that I received some lovely summer releases from Barry M and so here's the first review for you guys and its of the newest addition to the Gelly family, Sugar Plum. A sweet pinky purple shade which isn't too dissimilar to Radiant Orchid (Colour of the Year last year and current colour du jour of nail polishes), Sugar Plum is one of those shades you that looks even better on the nails than in the bottle. 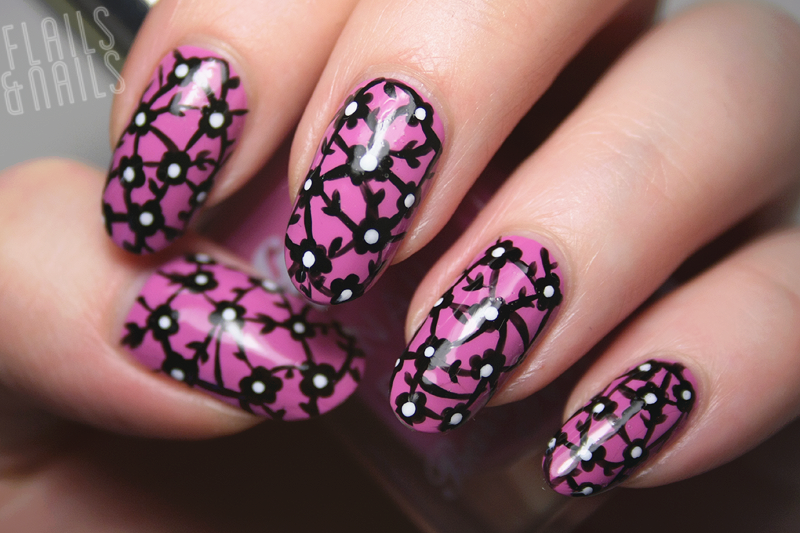 Now, enough of my blabbering and onto the swatch, review and nail art! This is two coats of the polish with no top coat, I mean, I think we all know the Gelly formulation well to say that this shade is pretty consistent with the rest of the collection. Shiny with really good pigmentation, Sugar Plum is one of those shades which I think will suit a lot of skin types. All in all I wish there were more additions to the Gelly collection this summer but with the new Speedy shades to swatch and review, I'll have plenty of summer brights to show you guys. 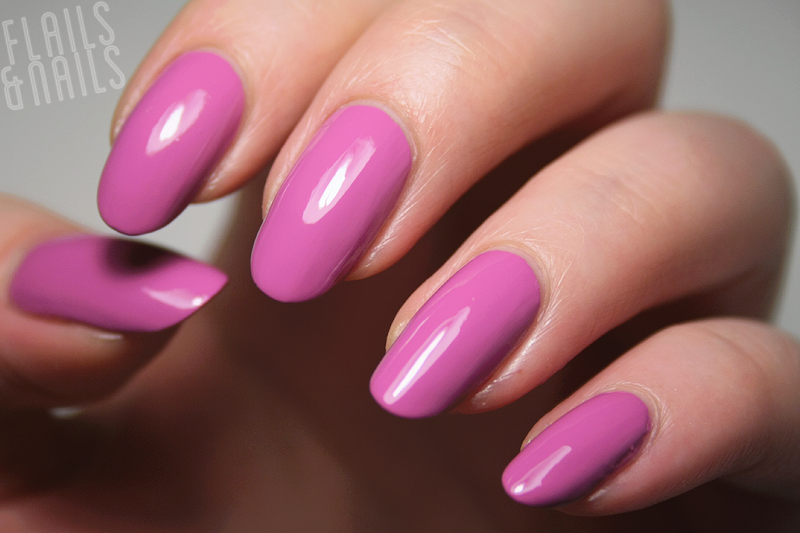 Sugar Plum is £3.99 and is available from Barry M, Superdrug and Boots NOW! 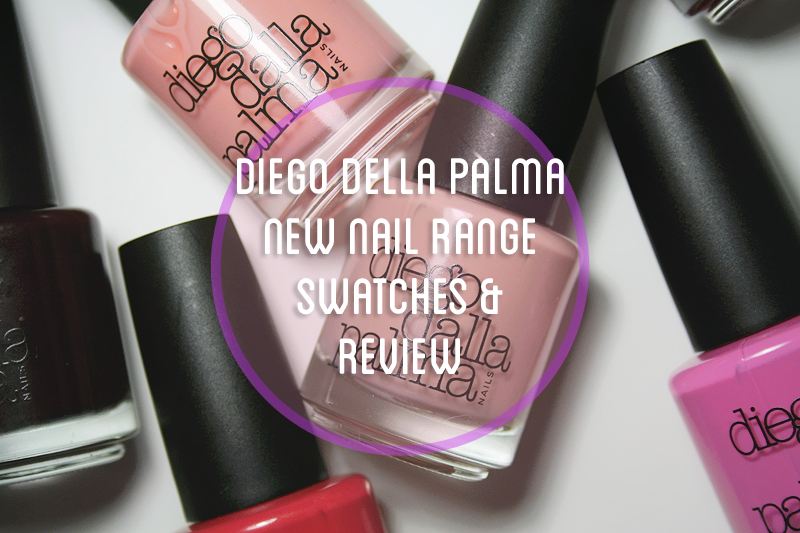 So I have some more exciting swatches for you, this time from Diego Dalla Palma who have launched their range of nail paints with a load of classic shades to choose from. I've got six colours to show you so follow me behind the cut to see these purdy polishes. 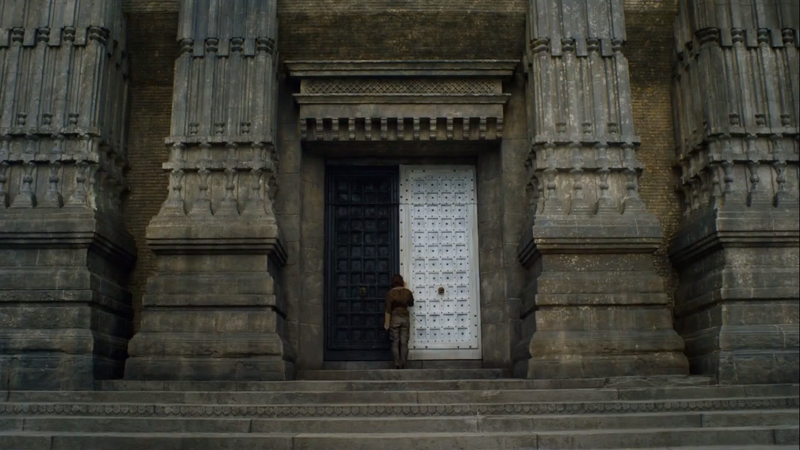 So if you're a fan of the show, you can probably tell that I took direct inspiration from the front door of the House of Black and White which you can see here. I really wanted to get the 3-D effect of the door so created the shadow and highlight effect by mixing some colours to make very subtle shades. I did the detailing with my usual detailing brush then used a dotter to create the metallic studs. Finally, I used Barry M nail art pens to write the well known Faceless Men phrase 'Valar Morghulis'. I would have loved to squeezed Valar Doharis on the nail as well but my pens weren't cooperating! Anywho, a bit of a brief but fun post for you guys (I hope). 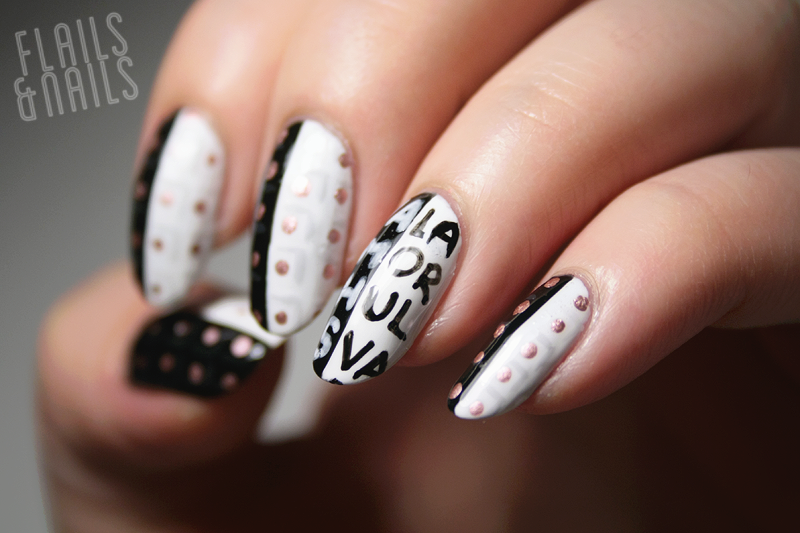 I hope you guys enjoy reading this posts as much I love creating the nail art for them. If you have any suggestions about more Game of Thrones inspired nail art then be sure to comment below and make sure to follow me on all of the social media sites below, until next time!